Mama Nibbles: #ad Slow Cooker Nachos That Will Crock Your Socks Off! 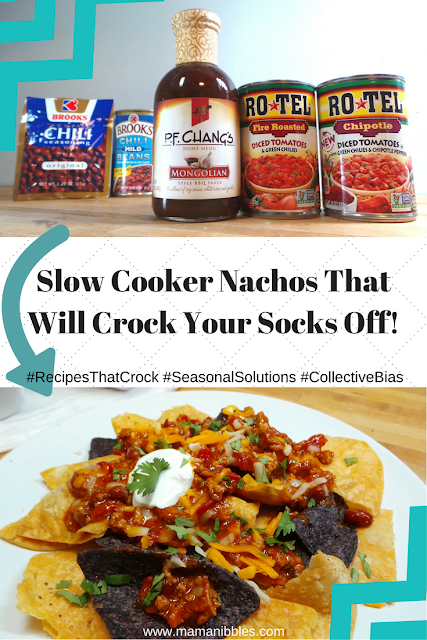 #ad Slow Cooker Nachos That Will Crock Your Socks Off! It's finally feeling like fall here in Michigan! The leaves are changing colors and falling and the climate has gotten cooler. This season's smells are my favorite. I adore apple orchards, raking up leaves, walks through the farmers market, fresh pressed hot apple cider and still warm cinnamon sugar donuts. I swear the sky always looks bluer in the autumn too. Every moment I can steal you will find me in my swinging chair outside just breathing in the freshness and soaking up the last bits of warm sunshine. In other free time I am taking a little bike ride with the kids or messing around in my slowly fading garden. I probably waste too much time outside but I don't care! Sometimes a person just needs a break from adulting. 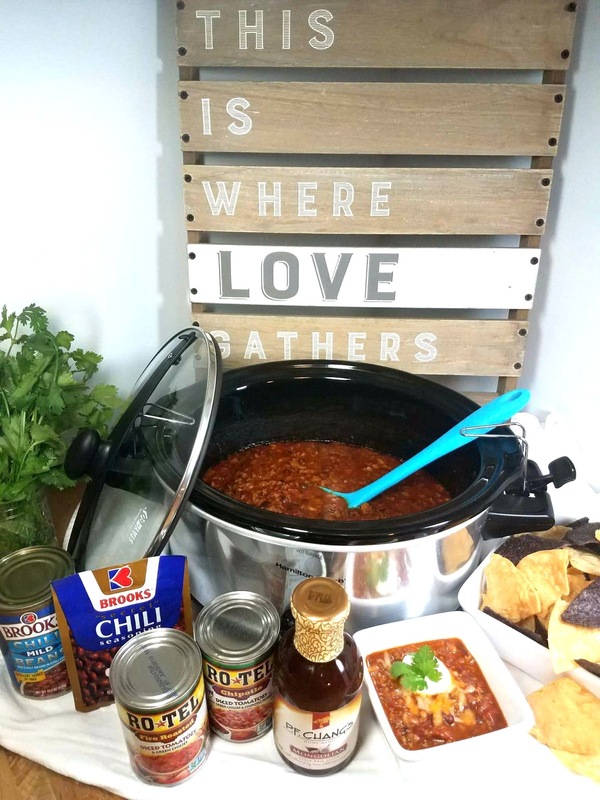 This fall weather has me in the mood for slow cooker meals. The recipe I am about to share is something new that I threw together one day and it came out tasting so good everybody was begging for seconds. These nachos have a lightly spicy, sweet tang that is addictive! It's the perfect comfort food for snack time, lunch, or supper. This only takes about 7-10 minutes of actual "work" and 2 1/2 hours in the crock pot on low. All the warm fuzzies inside with this dish! I bought all my ingredients at Meijer. I found the P.F. Chang's® Home Menu Sauces in the World Foods aisle, near all the Asian ingredients. The RO*TEL® Fire Roasted Tomatoes (I also grabbed chipotle) in the Canned Vegetables/Tomatoes aisle. 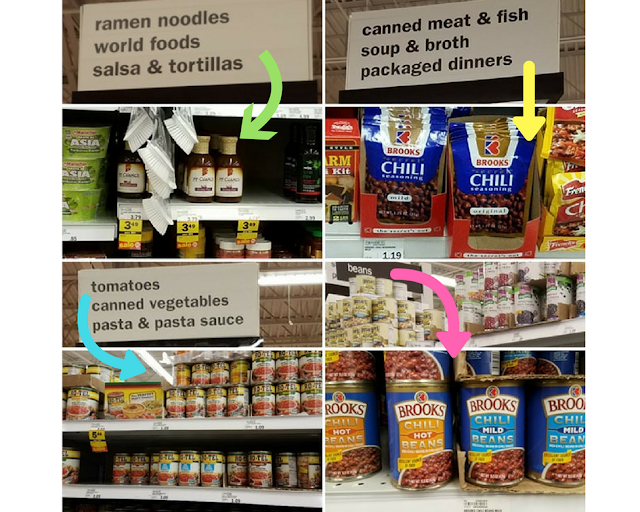 The Brooks® Mild Chili Beans were in the "Beans" section of the Canned Vegetables aisle. Last but not least I located the Brooks® Original Chili Seasoning packets right with all the other chili mixes and taco seasonings in the Packaged Dinners aisle. 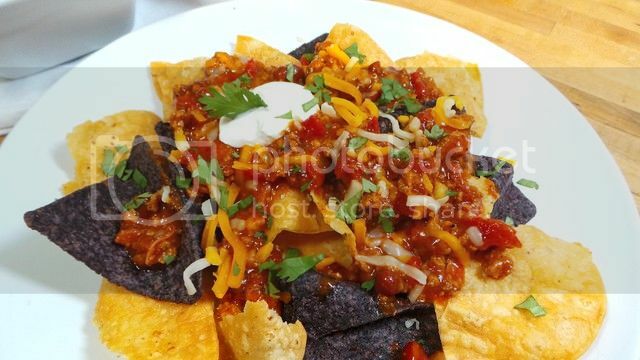 Slow Cooker Nachos That Will Crock Your Socks Off! 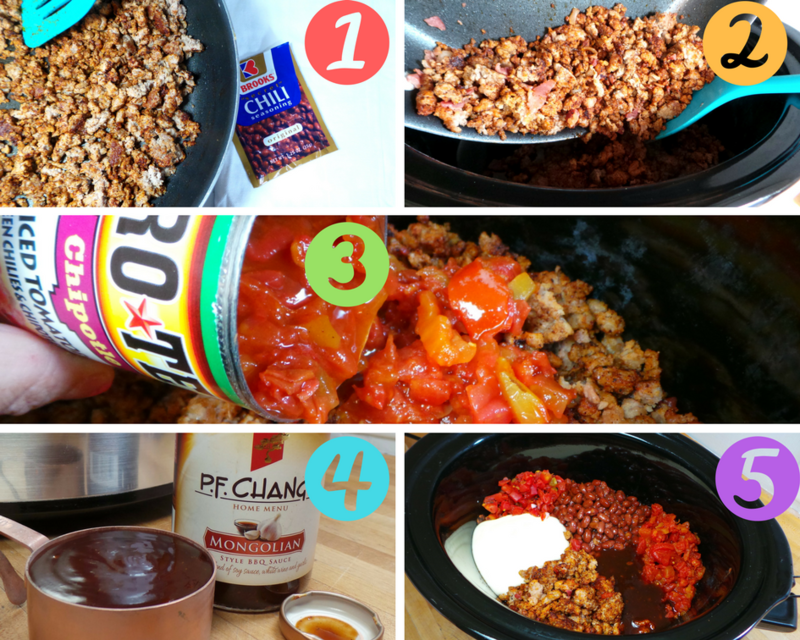 Fall comfort food crock pot recipe. Pin the pic below on Pinterest!